For me, fall foods are all about comfort. Slow foods such as roasts, stews, and braises often top peoples lists of comfort foods, but just because the sun is waning doesn’t mean we suddenly have more time to spend in the kitchen. This warm farro salad is perfect for those gusty autumn days when you crave something warm and hearty but don’t have the time to spend hours cooking. 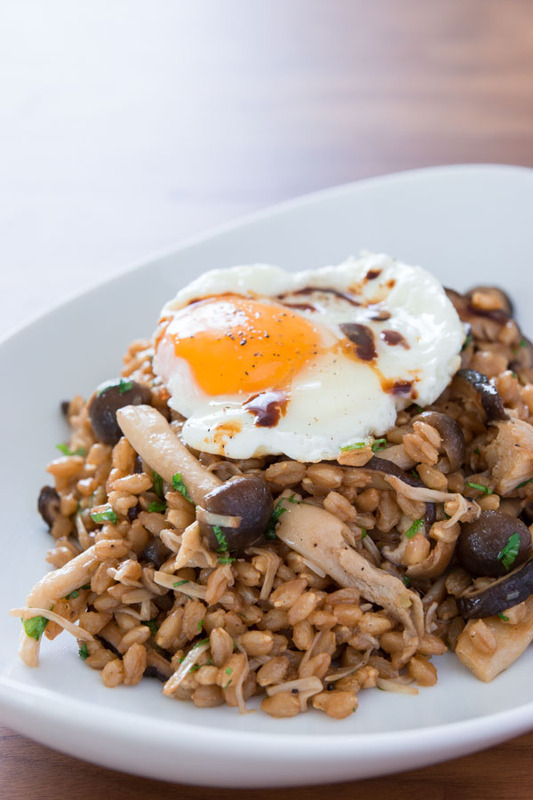 Using fall’s bounty of mushrooms, some wholesome farro, and a fried egg, this salad is a filling, flavor-packed meal that’s as comforting as it is nutritious. The trick to making a really flavorful farro salad isn’t just in the dressing. Farro, like any grain, tastes best when cooked in a broth. In this case, I made a Japanese style dashi using dried shiitakes and kombu. Dried mushrooms are high in guanosine monophosphate, a nucleotide associated with stimulating your umami sensing tastebuds. Together with kombu, which is rich in glutamic acids, dried shiitake mushrooms make an incredibly flavorful vegan broth with tons of lip-smacking umami. I tend to like my farro al dente, especially in a salad, so I only cook it for 20 minutes, which gives the grains just enough time to swell up with the flavorful broth without making them soft. Mixed together with sauteed mushrooms and a balsamic dressing with just a hint of black truffles, you have a soul-satisfying salad that’s made even more comforting by topping it with a sunny-side-up egg. 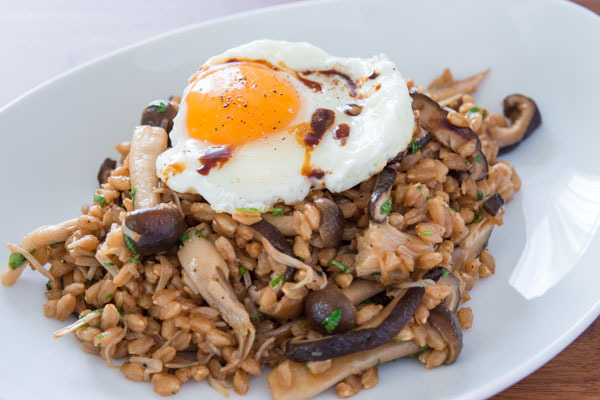 The egg not only adds some richness to the dish, seeing a golden cascade of sunny yolk flowing down a mountain of farro never fails to put a smile on my face. If you want to make this vegan, just swap the egg out for sliced avocado. As for the mushrooms, any combination of your favorite mushrooms in season will work, but I used a combo of enoki, beech (shimeji), hen of the woods (maitake) and shiitake. Try this warm salad on a cool Autumn day. 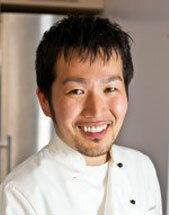 Fresh Tastes blogger Marc Matsumoto explains mushroom nutrients in a full post on the blog. Rinse the shiitake mushrooms and add them to a pot with 3 cups of water and the kombu soak for at least 2 hours or up to overnight. When the mushroom stock is done, remove the mushrooms and kombu. 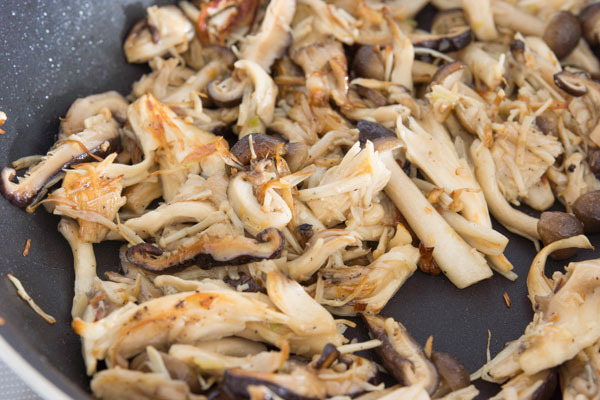 Discard the kombu and save the shiitakes for the mushroom sauteé. Wash the farro and drain. Add the washed farro to the pot with the mushroom stock along with 1 teaspoon of salt. Bring the pot to a boil over high heat, and then lower the heat to maintain a gentle simmer. Cover and cook for 20-30 minutes. While the farro cooks, whisk together 2 tablespoons of olive oil, the balsamic vinegar, champagne vinegar, 1/4 teaspoon of salt, and season with truffle oil to taste. Heat a sauté pan, until hot and then add 1 tablespoon of olive oil and the minced scallions, sauté until they’re fragrant and starting to brown around the edges. Add the mushrooms and saute until reduced to about ½ the original volume and browned. At 20 minutes test the farro for doneness. 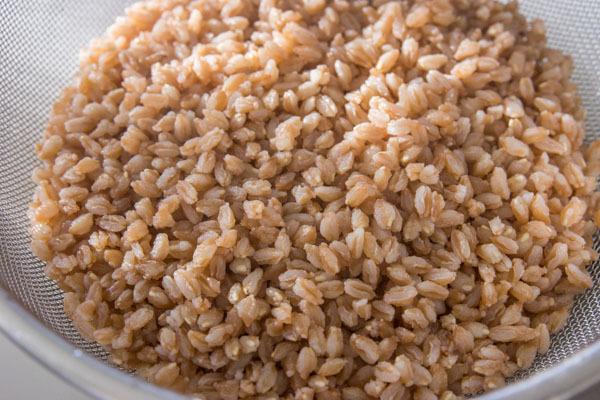 If it’s cooked to your liking drain any remaining water and place the farro in a bowl. If not, you can continue cooking until you’re happy with the texture. 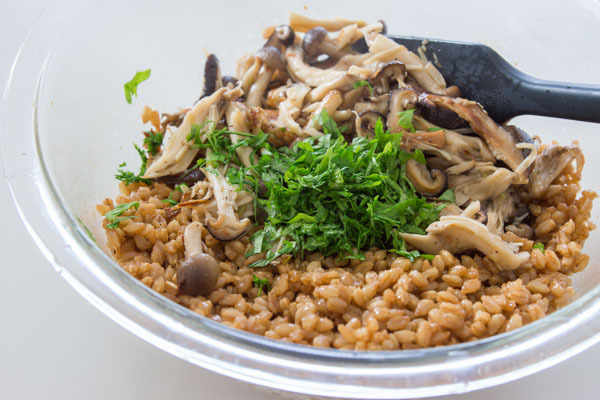 Pour the dressing over the farro, and then add the sautéed mushrooms and minced parsley. Toss to coat evenly and then adjust salt and pepper to taste. Fry the eggs and top each serving of salad with an egg, salt, pepper and a drizzle of balsamic vinegar.